The arts world lost two of its finest as Lorin Maazel and Elaine Stritch passed away this week. Lorin Mazel’s musical career spanned over 75 years as a conductor, composer and mentor, serving with the Radio Symphony of Berlin, the Pittsburgh Symphony, the Cleveland Orchestra, the Munich Philharmonic, and the New York Philharmonic among others. Elaine Stritch’s almost equally long career spanned well over a half-century beginning in the New York theatre scene in the 1940’s. She was known for her frank, loud comedy style and most recently lent her talents to modern audiences in the NBC sitcom, 30 Rock for which she received an Emmy in 2008. Fred Herzog is one of seven photographers whose work has been developed into a new stamp in Canada Post’s second issue of a five-year series. The series is to celebrate the work of Canadian photographers over the last 150 years, so it is no surprise that Herzog’s iconic work has been selected. The chosen image is of four children playing outside of a convenience store populated with advertisements on West 5th Avenue. 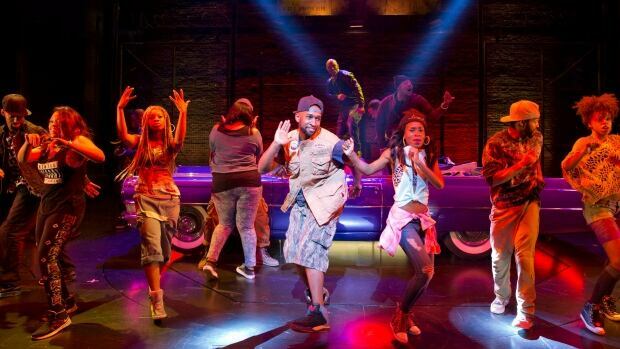 The ambitious musical, Holler If Ya Hear Me, based on late rapper Tupac Shakur failed to connect hip-hop and live theatre audiences and announced that it’s final performance would take place on July 20th. Despite ticket prices being one on the lowest on Broadway, it fell victim to unforgiving audiences and mixed reviews after only 38 performances. This Saturday afternoon (July 19) the Vancouver Chamber Choir is set to entirely engross themselves in their rendition of Narvaez Bay: Tidal Predictions for 2012. The unique performance is set to take place aboard the Deadhead, a boat turned into a floating sculpture that is currently in Heritage Harbour near the Vancouver Maritime Museum. The Polaris Music Prize announced its shortlist of the top ten Canadian albums this week, including Arcade Fire, Owen Pallett, Timber Timbre, Basia Bulat, and Tanya Tagaq. The prize began in 2006 in response to awards that are often sales based, instead basing itself strictly on artistic merit, chosen by an independent jury of journalists, DJs, and music bloggers across Canada. The winner will be announced at the annual gala on September 22nd.